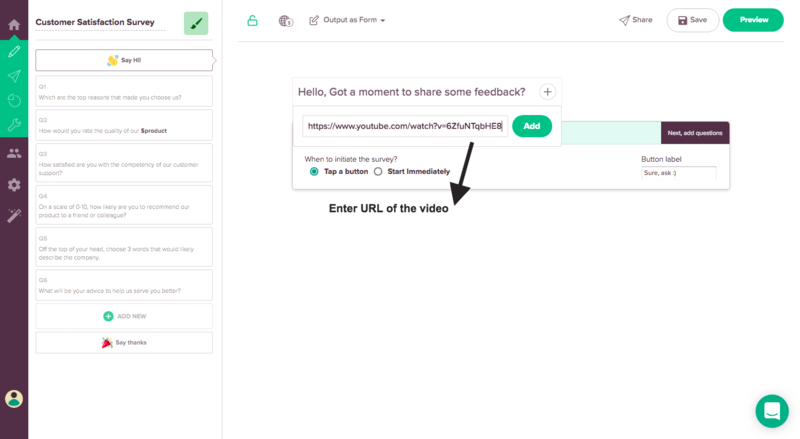 If you wish to gather feedback about a video from your audience, add a video about your company in the survey, or even show a video to your audience, you can employ the video embed feature. 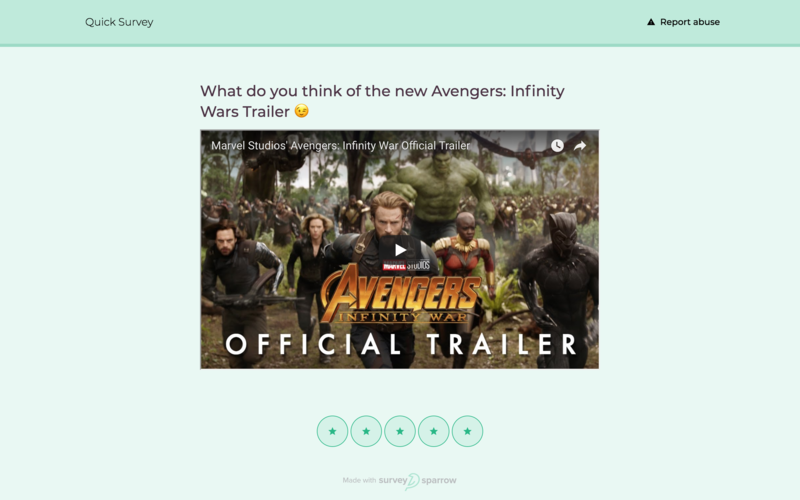 With this feature, it is possible to embed videos, hosted in popular platforms like Youtube & Vimeo, in your survey questions. In this manner, your audience can play videos while they take the survey. Incorporating videos into your surveys makes them engaging and interesting. In your survey builder page, add the question where you wish to embed the video. Click on the Plus icon that drops down to various options like emoticons, images, videos and so on. Click on the video icon. 3. Enter the URL of the video. Click the Add button. The video is now embedded in your survey.